An exciting new preservation campaign gains momentum with the acquisition of spectacular forest and stream habitat above Eagle Harbor. Looking for big reasons to support the Land Trust’s ambitious new campaign? Look no further. The gorgeous 15-acre Cougar Creek property above Eagle Harbor is home to some of the largest and most magnificent western red cedar trees on the Island and sits in close proximity to other Land Trust protected properties. A flowing stream and serene pond enhance the undisturbed forest habitat. Future plans for the property include a public access trail. A new opportunity with very old roots. 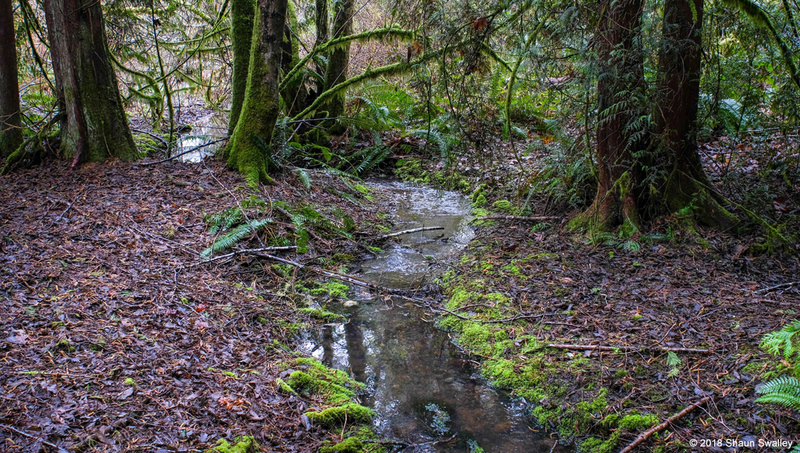 The Cougar Creek Preserve is a wonderful second acquisition in our Stand for the Land campaign.